Salary negotiations can be tricky business. Unless you have the inside scoop on what an employer is willing to offer, you may come in too high when asked about your salary expectations and then price yourself out of a job offer. Coming in a little bit high is one thing, but if you ask for a salary that is thousands of dollars more than the company has budgeted for, there's no room to negotiate. On the other hand, it's important to get paid what you are worth – you don't want to be taken advantage of. You also don't want to end up resenting your boss for underpaying you. And, obviously, you need to earn enough to pay the bills. What's the best way to negotiate salary? These salary negotiation tactics will help you negotiate a fair compensation package. Here are salary negotiation tactics including how to evaluate a job offer, negotiating salary and benefits, and how to make a counter offer if you want to get a higher salary when you receive a job offer from an employer. When you are interviewing for a job and want to discuss salary, be patient. Try not to bring up compensation until the employer makes you an offer. If, during an interview, the employer asks you what your salary requirements are, say that you are open-minded based on the position and the responsibilities of the job. Once you get a job offer, evaluate it carefully. There are more factors that come into play than just the base salary. For example, you might want to inquire about the possibility of a commission, bonuses, and projected salary increases, as well as benefits, hours, and promotion and growth opportunities. All of these factors affect your year-end net income and available spending power. For instance, the position may pay less than you'd hoped for, but if the medical and dental benefits are generous, that could potentially save you thousands of dollars a year in medical bills. For each potential position, record this information in an organized checklist and compare the pros and cons in order to make an informed decision. One of the best ways to open up discussions after you have received a job offer is to ask for a meeting to discuss the offer. Here is a counter offer letter and counter offer email message you can use to initiate the conversation if you plan to make a counteroffer. Take the time to research salaries for the particular job you're looking for. Information is power. Once you've done your homework you'll be better equipped to get what you're worth in the marketplace. There are a few good online resources that can help you with your research. One is Glassdoor.com, which allows you to research individual companies, see the salaries that people in specific positions have earned, and review current and past employees’ opinions about the employer and their jobs. This website also has a trademarked “Know Your Worth” calculator that allows you to discover your current worth in the job market (based upon your current job), find out if you’re being paid fairly, and discover ways to increase your salary. Other sites with online salary calculators (besides Glassdoor.com) include Salary.com, PayScale.com, Indeed.com, and LinkedIn.com. There are also cost-of-living and paycheck calculators you can use to determine your expenses and how much you’ll net in your paycheck. Keep in mind that you may have to register for these sites; most are free to use, but a few require paid memberships. When you receive a job offer, take some time before you make a decision. Ask the employer any remaining questions you have, even if they seem inconsequential. It's perfectly acceptable to ask an employer for time to consider the offer. In fact, most employers will respect you for taking the job, and job offer, seriously. 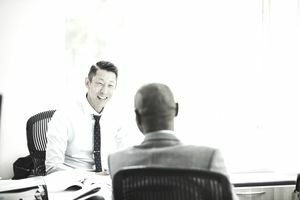 The best way to gain and utilize the extra time you need to make your decision is to confirm the employer’s deadline for a response, ask for more information about the compensation package and employee benefits, and enter negotiations about the offer and the start date for your new job. Because negotiating is not just about a job offer, here are some salary negotiation tips and strategies for successfully negotiating a compensation package or a raise.